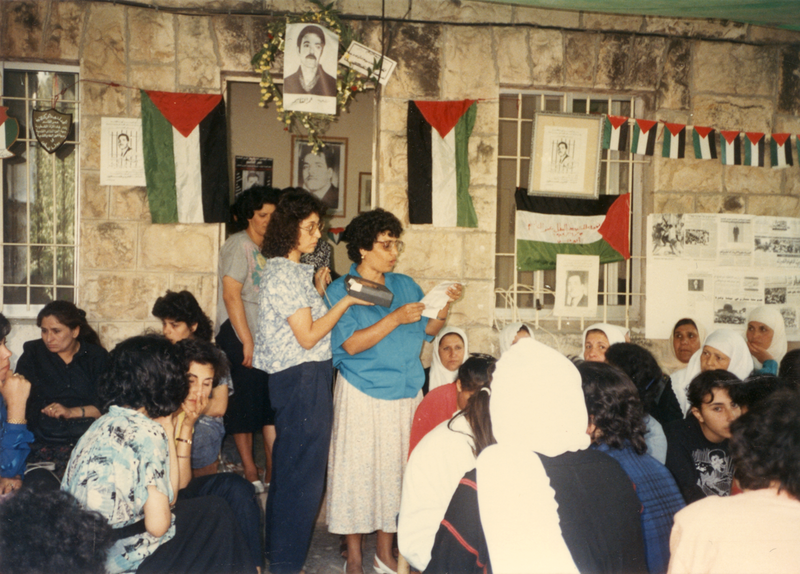 Relatives, Members of the Palestinian Association of Women's Work Committee, and a delegation from the Democratic Front for the Liberation of Palestine visiting the house of the martyr Omar al-Qasim. Al-Qasim was killed in Israeli Occupation's prisons on the 4th of June, 1989. His Funeral was held on the 7th of June, 1989.